A network topology is how computers, printers, and other devices are connected over a network. 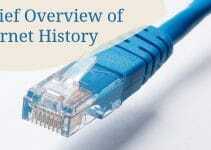 It describes the layout of wires, devices, and routing paths. 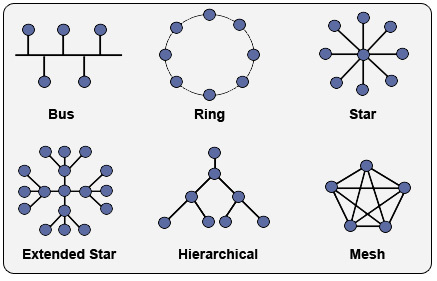 Essentially there are six different common topologies you should familiarize yourself with: Bus, Ring, Star, Extended Star, Hierarchical, and Mesh. Although it is usually easier to start connecting wires and setting up your network, you’ll appreciate the level of organization these models provide- especially when your network grows in size. And if you’re looking to do well on networking exams, consider these topologies essential to both learn and memorize. The bus topology was fairly popular in the early years of networking. It’s easy to setup- not to mention inexpensive. All devices on the Bus Topology are connected using a single cable. If you need help remembering how the Bus Topology operates, think of it as the route a bus takes throughout a city. It is extremely important to note that both ends of the main cable need to be terminated. If there is no terminator, the signal will bounce back when it reaches the end. The result: a bunch of collisions and noise that will disrupt the entire network. The Bus Topology is less common these days. In fact, this topology is commonly used to network computers via coaxial cable- when’s the last time you can say you’ve done that? The Ring Topology is a very interesting topology indeed. It is a lot more complex that it may seem- it looks like just a bunch of computers connected in a circle! But behind the scenes, the Ring Topology is providing a collision-free and redundant networking environment. Note that since there is no end on a Ring Topology, no terminators are necessary. 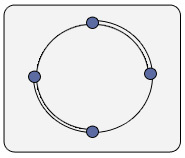 A frame travels along the circle, stopping at each node. If that node wants to transmit data, it adds destination address and data information to the frame. The frame then travels around the ring, searching for the destination node. When it’s found, the data is taken out of the frame and the cycle continues. But wait- it gets better! We have two types of Ring Topologies in networking: the one we just reviewed, and Dual-Ring Topology. In a Dual-Ring Topology, we use two rings instead of one. This creates a sense of redundancy so that if any point in the network fails, the second ring will (hopefully) be able to pick up the slack. If both rings were to fail at separate locations, we can even use the opposite ring at each point to “patch” the downed node. In the above diagram, you can see that although the outer ring and inner ring failed at separate parts of the network. Thanks to redundancy, the network is still fully operational. This is generally more expensive to implement than other topologies- so it isn’t as common as the Star or Extended Star Topology. One of the most popular topologies for Ethernet LANs is the star and extended star topology. It is easy to setup, it’s relatively cheap, and it creates more redundancy than the Bus Topology. The Star Topology works by connecting each node to a central device. This central connection allows us to have a fully functioning network even when other devices fail. The only real threat to this topology is that if the central device goes down, so does the entire network. The Extended Star Topology is a bit more advanced. Instead of connecting all devices to a central unit, we have sub-central devices added to the mix. This allows more functionality for organization and subnetting- yet also creates more points of failure. In many cases it is impractical to use a Star Topology since networks can span an entire building. In this case, the Extended Star Topology is all but necessary to prevent degraded signals. Whereas the Star Topology is better suited for small networks, the Extended Star Topology is generally better for the larger ones. The Hierarchical Topology is much like the Star Topology, except that it doesn’t use a central node. Although Cisco prefers to call this Hierarchical, you may see it as instead referred to as the Tree Topology. This type of topology suffers from the same centralization flaw as the Star Topology. If the device that is on top of the chain fails, consider the entire network down. Obviously this is impractical and not used a great deal in real applications. If you haven’t noticed, we’ve had a little problem with a fully redundant network. The Dual-Ring Topology helped, but it wasn’t perfect. If you are looking for a truly redundant network, look no further than the Mesh Topology. You will see two main types of Mesh Topology: Full-Mesh and Partial-Mesh. The Full-Mesh Topology connects every single node together. This will create the most redundant and reliable network around- especially for large networks. If any link fails, we (should) always have another link to send data through. So why don’t we use it more often? Simple: how many wires would it take to link a computer to every device on a network of over 100 devices? Now multiply that for every device on the network- not a pleasant number is it? Obviously you should only use this in smaller networks. Alternatively, you could try a Partial-Mesh Topology. The Partial-Mesh Topology is much like the full-mesh, only we don’t connect each device to every other device on the network. Instead we only implement a few alternate routes. After all- what are the odds a network will fail in multiple times near the same device? You’ll see the Partial-Mesh Topology in backbone environments, since these are often vital networks that depend on redundancy to keep services running (such as an Internet Service Provider). Full-Mesh Topology is commonly seen in WANs between routers, yet also on smaller networks that depend on a redundant connection. 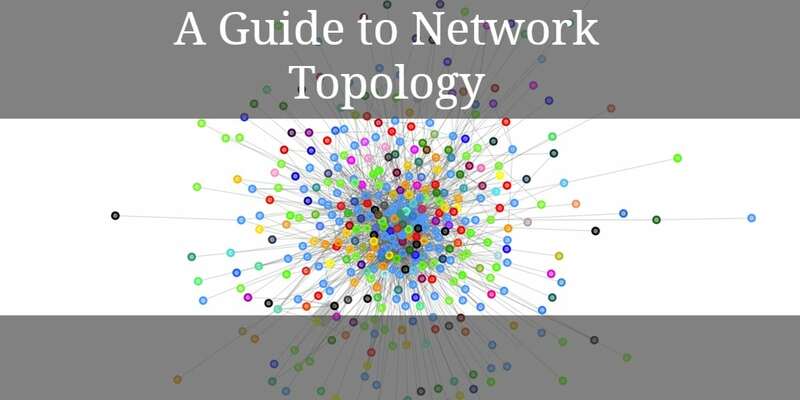 Keep in mind that network topology isn’t limited to the above examples. There are hybrids and variations of the topologies mentioned above. Oddly enough, Cisco fails to categorize Point-to-Point Topology in their course material- but don’t worry, it’s just a simple connection between two endpoints. Perhaps it was considered too simple to include in the course material- either way, make sure you commit the above topologies to memory. You’ll be expected to know them when exam day comes- not to mention it could save you from a disorganized mess of a network! Thank you very much God bless… This is the best explanations i have gotten so far on networking topology…. thanku very much! a lovely explanation by which we can do our assignments! To Ruby: A star topology is generally considered more reliable. Keep in mind that a bus network relies on a single, shared medium — cable. If that cable goes down, then all host on that shared medium go down. Also, as you add more units, the performance degrades, because only one host can send at a time on the shared medium(shared bus)(shared cable). A Star Topology uses a switch( or sometimes a hub), which all host connect to, if one host goes down, it has no effect on the performance of the network. Also, each host can communicate and send data simultaneously which improves performance and effeciency, and a Start is more scalable, because you could buy a 48 port switch and connect 30 computers, then later, if you need to add 18 more, you can do so without seriously affecting the performance of your network. Bus Networks are not really used nowadays, and are considered the most unreliable and ineffective method of networking computers. But please note, I am a novice at networking, and am only just beginning my real studies. But this is what they teach us in school. This is a wonderful article and has cleared some of the networking concept; however, I would like to take an advice particularly in my case. Where I have three buildings each separated approximately by 100 meters, the main server is in the 1st building. Currently the networking is somewhat like a bus topology. Maybe a mesh topology…..
A cable is running from the 1st building to the switch of the 2nd building located at the ground floor. From this switch it is cascaded to the 1st floor and from the 1st floor’s switch it is cascaded to the 2nd floor switch. Similar layout is for the 3rd building too as 3rd building is ground floor plus 2 floors, where this building is cascaded from 2nd building ground floor switch. My question is ……… how can I improve further in the networking layout. Can star topology be of a better help. Just to mention the cabling is done with CAT 6 and almost all PCs are running at 1000 Mbps. I will highly appreciate the help. I would like some questions on network topologies. thanks for your useful articles. can you consider setting some exam based questions on the same matter? This site is great! Why doesn’t it (appear) to get updated any more??! I have a task at hand where i need to propose a new system for a lab that is currently using peer-peer network, bus topology and 30 computers…what to do? Why ring and mesh topology are used? please give me this as a description. Thanx so much for the information, but please can someone give me the advantages and disadvantages of these topologies. Thank you very much for this. This is a very understandable, simple, and quick reference. Keep up the good work. From your description, it looks like your network is not a BUS but an EXTENDED STAR topology. It is neither a MESH topology since all your computers are not somehow connected to each other.